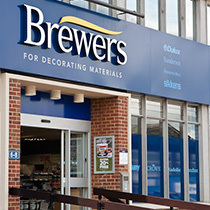 Designerpaint is a trading name of C. Brewer & Sons Ltd. and is part of the BREWERS group of companies. 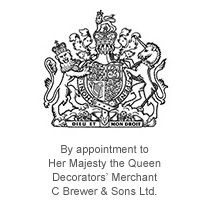 One of the country's oldest decorators' merchants, established in 1904, Brewers holds the Royal Warrant for the supply of decorating materials to The Queen. Still a family run business with more than 130 stores selling an extensive range of decorating materials, paint and wallpaper we have a wealth of advice and experience freely available. Visit www.brewers.co.uk/stores to find your nearest store. Novice or professional you've found the right site.